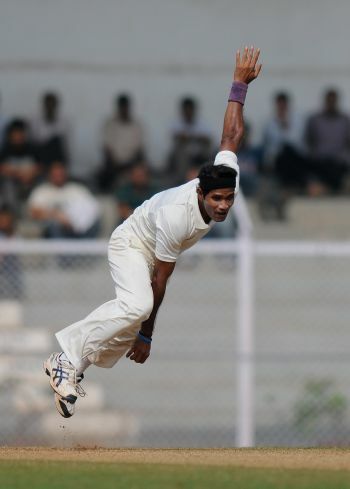 Bengal's most potent match winner Ashok Dinda rose to the occasion when it mattered the most as his five-wicket burst ensured a 43-run win against Railways in a Ranji Trophy Group A league encounter in Dharamsala on Sunday. Needing 119 runs on the final day with five wickets in hand to reach a victory target of 315, Railways could manage 271 in 93.2 overs largely due to Dinda's 5/67. Bengal: 205 & 214 vs Railways: 105 & 271 in 93.2 overs (Shivakant Shukla 83, Karn Sharma 54 not out, Arindam Ghosh 51, Ashok Dinda 5/67). Krishnappa Gowtham destroyed Assam's second innings with a brilliant stint of off-spin bowling before Karnataka romped home to a comprehensive 10-wicket victory on the fourth and final day of their Ranji Trophy Group B game in Mumbai on Sunday. Assam 325 and 264 (R Hazarika 44, A Verma 74; K Gowtham 7 for 108, S Gopal 3 for 97) lost to Karnataka 570 and 21 for no loss by ten wickets. Karnataka 7 points & Assam 0 points. Young opener Shubham Rohilla struck a maiden century but could not prevent Andhra from defeating Group C leaders Haryana by 77 runs in their Ranji Trophy league game at the Wankhede Stadium in Mumbai on Sunday. Andhra 253 and 220 beat Haryana 103 and 293 (S G Rohilla 118, C K Bishnoi not out 69; Siva Kumar 4 for 71 B Bhatt 3 for 82) by 77 runs. Andhra 5 points. Haryana nil. Skipper Yuvraj Singh notched up a fine double century as Punjab surpassed Baroda's huge first-innings total with ease to collect three points from their Group A Ranji Trophy cricket match in New Delhi. 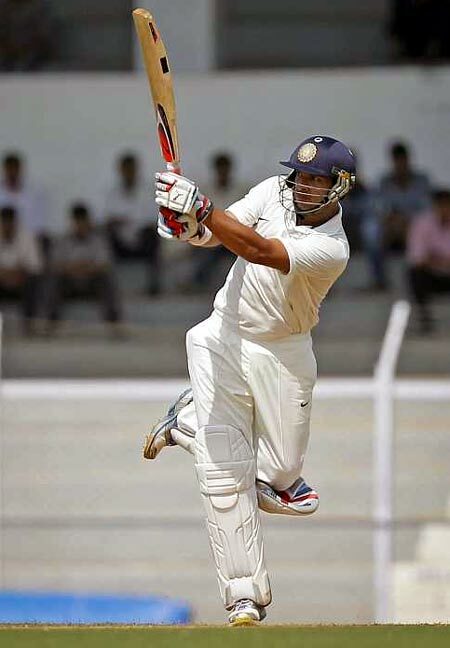 Odisha finished at 274 for eight in their second innings as Delhi failed to garner bonus points after their Group B Ranji Trophy cricket match ended in a tame draw in Mohali. Brief Scores: Odisha 237 and 274 for eight in 133 overs (Biplab Samantray 88, Gobind Poddar 56, Saurabh Rawat 55; Ishant Sharma 3/51). Jharkhand grabbed three points, owing to the first innings lead after their Group B Ranji Trophy match against Vidarbha ended in a draw at the Krishnagiri Stadium. In reply to Vidarbha's 105 allout in 42 overs, Jharkhand had scored 362. Jharkhand 1st inning: 362-8 declared & 2nd inning: 75/4 in 24.5 overs.